Have you made something special for your Valentine yet? There is still time! This homemade Valentine’s Day gift is easy to make and you probably already have the supplies you need at home. In fact, it’s so easy that your kids can create some as well! 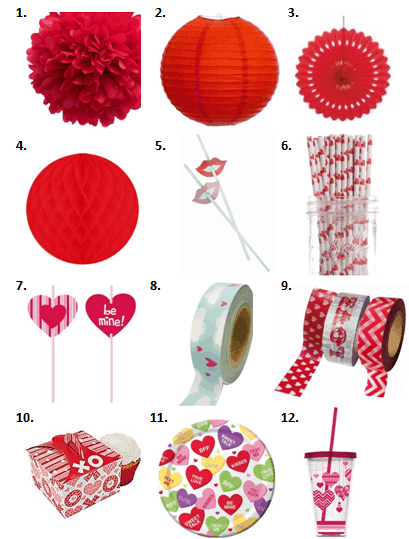 For this project, you’ll need a black marker, red paper, scissors, tape and ribbon. Once you’ve written on several hearts, tape them onto a ribbon and then hang this from your special Valentine’s bedroom door frame. It’s such a special treat to leave for someone to discover on Valentine’s Day! 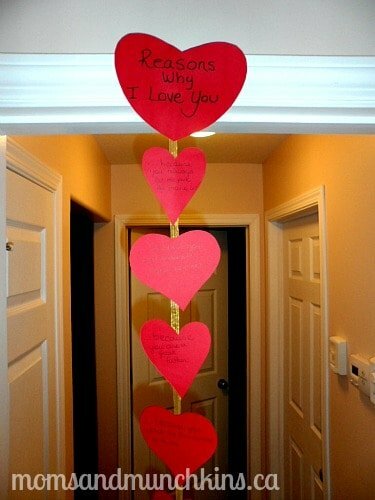 What would you thank your Valentine for on this special homemade Valentine’s Day gift? For more fun ideas for the holidays, visit our special Holiday Fun page. We’re always adding new ideas for celebrating holidays. Stay updated on the latest ideas by joining our communities on Facebook, Twitter, Pinterest and Bloglovin’. This is a super sweet idea. It is perfect for Valentine’s Day or anything you might need to make someone special smile. What a sweet idea! Thanks for sharing at After School!! Very fun idea! Thanks for sharing via Family Fun Friday. Great idea! It makes a lovely gift.